Come as a spectator! Come as a participant! 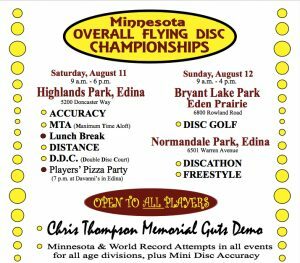 Come to learn more skills with a frisbee and the fun you can have with your friends and family with a flying disc. 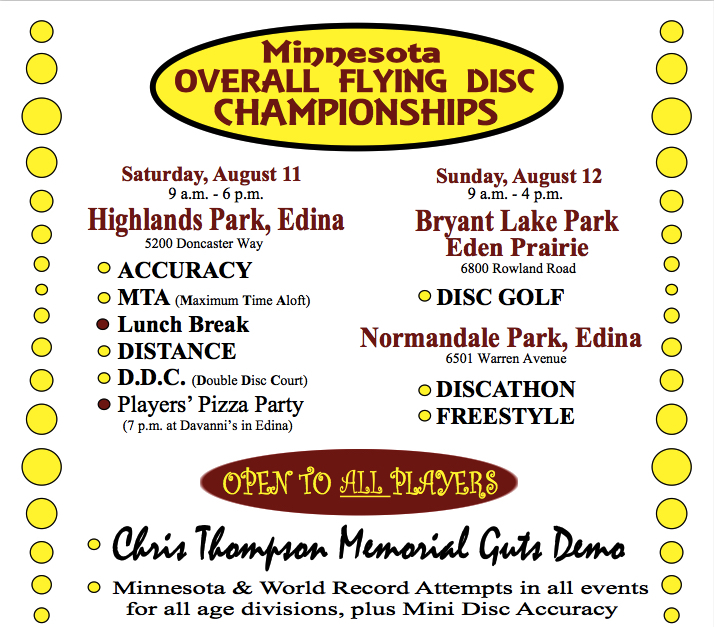 The Minnesota Overall Flying Disc Championships will be held in Edina, MN August 11-12.